A continuation of my list of my 100 favorite films of all time. 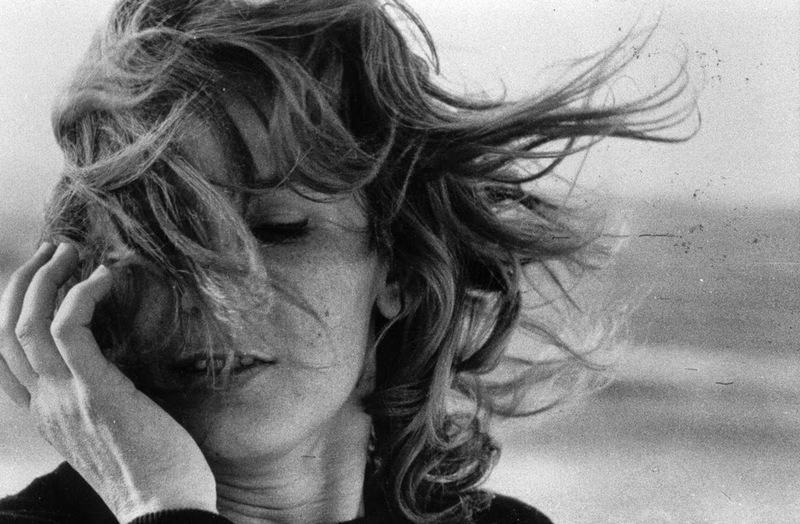 An entire narrative told through still images and voice-over, an entire film lasting only 28 minutes, but it is an incredible science fiction film by Chris Marker. This worked served as the inspiration behind Terry Gilliam's 12 Monkeys, and while I often see people rank that film higher than La Jetee, I am not one of them. If you find an opportunity to check this one out, please do so. You certainly have the time to given its length, and it is a special little slice of cinema. My first of two features by the Coen brothers in this very list of ten, No Country for Old Men is a masterful adaptation of the remarkable work of Cormac McCarthy and the film that inspired the name of my blog. An allegorical masterpiece with an ending that infuriated many with its lack of finality, but I not only defend the closing sequence, I think it is truly brilliant. In fact, I can't imagine a more fitting conclusion given it fits with the entire point of the narrative. A truly unique, overlooked gem, the Wachowski siblings along with director Tom Tykwer managed to adapt a novel deemed impossible to do so, the work of the same name by author David Mitchell. It would be a shame if this film were remembered as being merely a box office disaster because unfortunately that is viewed as a reflection of its quality. Cloud Atlas is massively ambitious in scope and scale, a master class in the art of film editing as six separate stories are told throughout with fluidity and sublime pacing. Three hours has never moved so quickly, and I hope this is a work destined to gain appreciation with age. 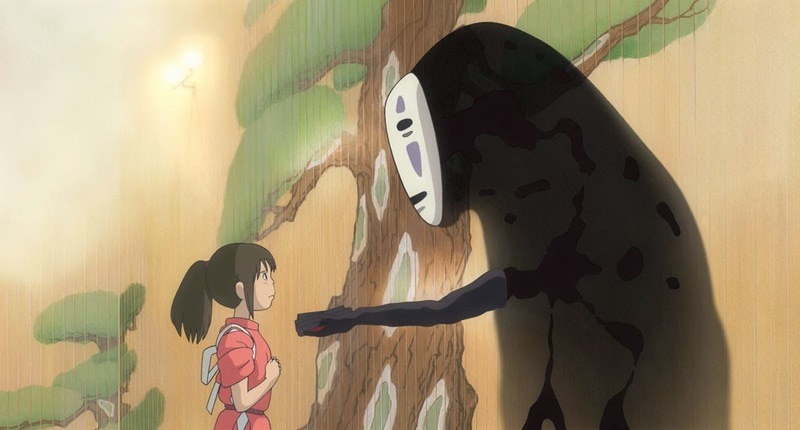 The brush Hayao Miyazaki paints with is one that brings a smile to my face every single time, but none bigger than that earned by his masterpiece Spirited Away. An imaginative animated wonder, so much detail is packed into every single moment of this film that it is impossible to digest it all with one viewing, and not just in terms of storytelling but also the incredible craftsmanship of the animation, some of the finest ever achieved. If you resist animated films because you feel they are designed and directed only at children, stop what you are doing and seek out the work of the legendary Studio Ghibli. 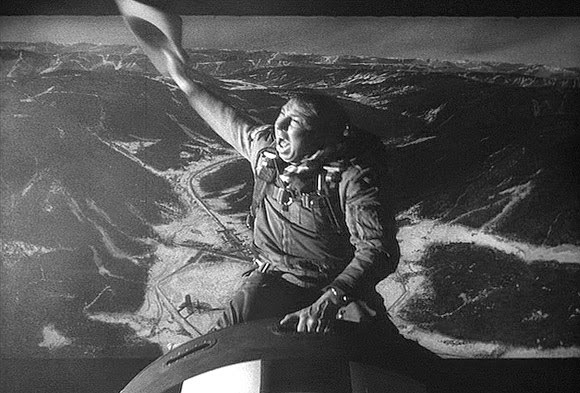 Quite possibly the most accomplished and brilliant satire in cinema history, Dr. Strangelove is yet another film by Stanley Kubrick that has made my list. It's just so damn funny and shockingly relevant even today, as the content remains as clever and meaningful as it did back in the 1960's. Humor is something that can occasionally feel dated, as something that played well long ago may come up dry with a modern audience. Not so for this classic dark comedy. 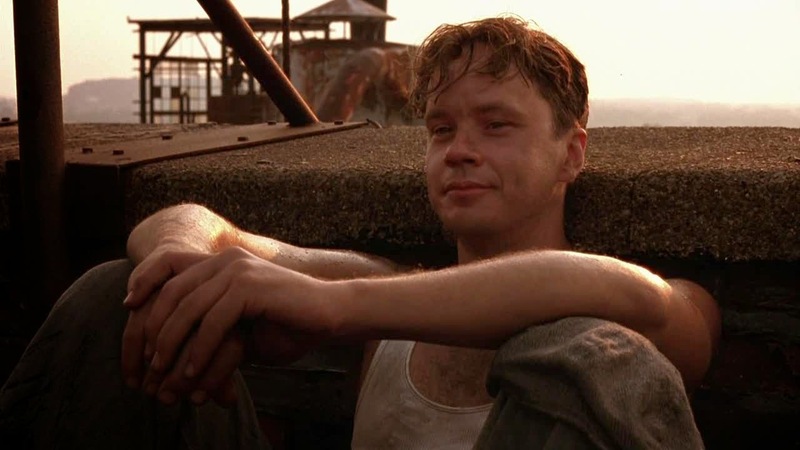 At one point years ago, when someone would ask what my favorite movie was, the answer was always The Empire Strikes Back...and The Shawshank Redemption. While no longer right there at the very top of the list, my love for this film still remains, a powerful story about finding hope in a hopeless place and the meaning of freedom beyond the simplicity of whether the prisoners are in serving time or out in a world unknown to them. The last thirty or so minutes of this work will always warm my soul without fail, an experience that never gets old. One of the finest and most realistic looks at the profound challenges of mental illness, the film Take Shelter by Jeff Nichols showcases a breathtaking lead performance by Michael Shannon along with amazing supporting work by Jessica Chastain in the role of his wife. Much like the previously listed No Country for Old Men, this has a shockingly polarizing ending, and I say shockingly because I find only one interpretation to be valid yet I was surprised to see it debated by many. For me it is a moving moment using intense imagery to demonstrate the importance of comfort and having love by your side when you need it most. 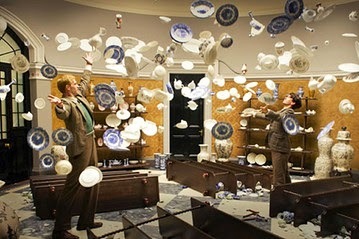 One of my absolute favorite closing scenes of a film I have ever witnessed. 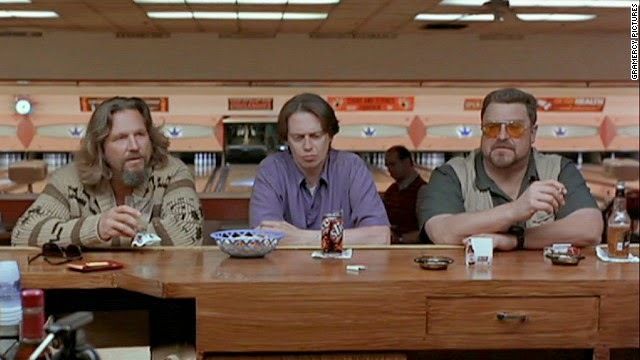 Here we are with that second Coen brothers film I eluded to earlier, their comedy classic The Big Lebowski was was just recently selected by the National Film Registry for preservation due to its cultural significance. Well deserved if you ask me, my favorite comedy of all time. So quotable, so memorable, such great characters, such a uniquely perfect script. I could practically watch this film on repeat and never grow tired of The Dude. Not quite the masterpiece from the filmography of Quentin Tarantino...but close. 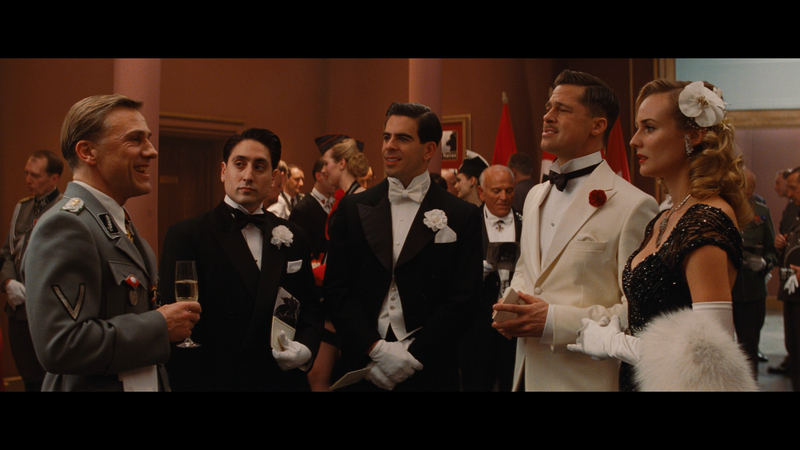 Inglourious Basterds takes his ingenious script and runs with it, with every performance absolutely on point for the material. Some of the finest moments of this film, from the riveting opening sequence to the showdown in the basement bar, are so perfectly executed and could only be the work of one man. When you see sequences like these, there is never a doubt as to who crafted them. Only Quentin Tarantino could pull it off. With these fresh in my mind after my recent six film journey through Middle Earth, The Two Towers is still the one that stands atop the rest. I cannot get enough of this installment, as every note is hit with perfection from beginning to end, never a misstep despite its daunting length and epic scope. Just thinking the words "Helms Deep" makes me grin like an idiot. Only 20 films to go...or perhaps 21. I may just have to include a lame tie as a way to shoehorn in a choice much deserving of the honor. 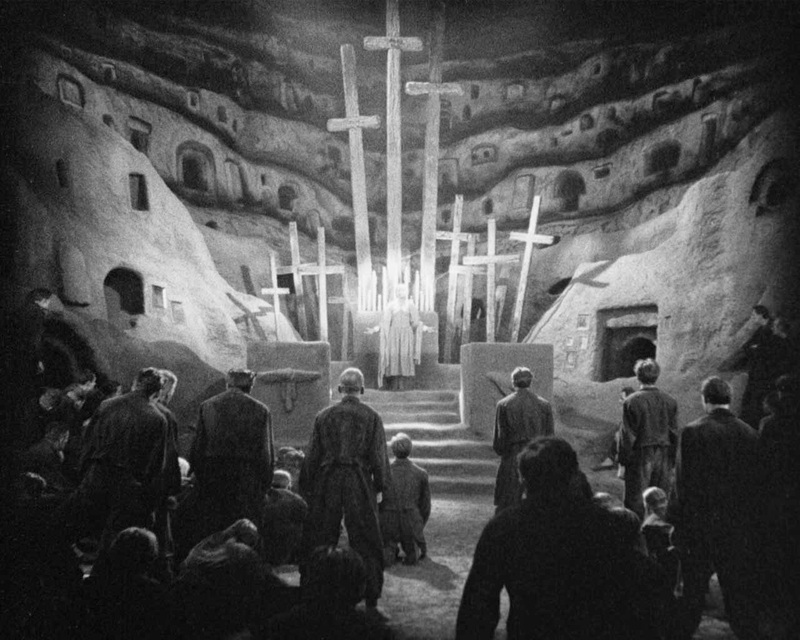 Either way, two more lists to come, and the image above is from a film that will be a part of the next group.